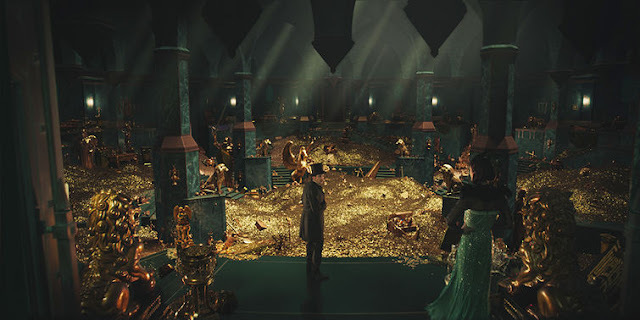 OZ:The Great and Powerful: Is the production design the real star of the show? I hope there is more to love about OZ: The Great and Powerful than its' production design but the movie has been released to mixed reviews. As for me, I'm not sure that I can stay away. I want to see the story and the performances for myself plus my interest has been seriously piqued by Robert Stromberg's dazzling work here. I found these pictures at CoCreate where they have a gallery of images of Stromberg's Land of Oz. 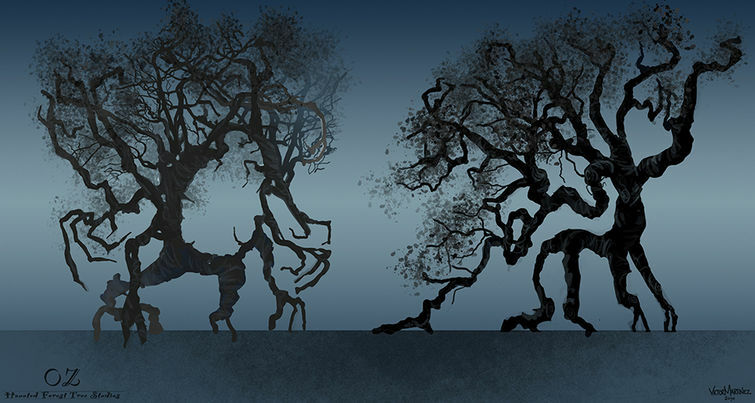 This is Stromberg's third time out as production designer, he won the Academy Award for both previous efforts: Avatar (with Rick Carter) and Alice in Wonderland! He has an extensive resume in both the visual effects and matte painting departments with credits like Pirates of the Caribbean (you can see the influence of the Pirates of the Caribbean ride in OZ's treasure chamber, below), Boardwalk Empire, Pan's Labrynth and a ton more. According to CoCreate, 1920's Art Deco architect Hugh Ferriss was a key influence on Stromberg's Emerald City. "I like the way Ferriss played with cityscapes -- something about the stacking of buildings, dark against light." The Art Deco styling was also a natural match for the construction of the Emerald City in the story "Emerald City was built by Glinda’s father, then hijacked by these evil witches, so there’s a tension to the air. That’s why Emerald City looks like this masculine monolith with hard angles." I'm in, but how about you? 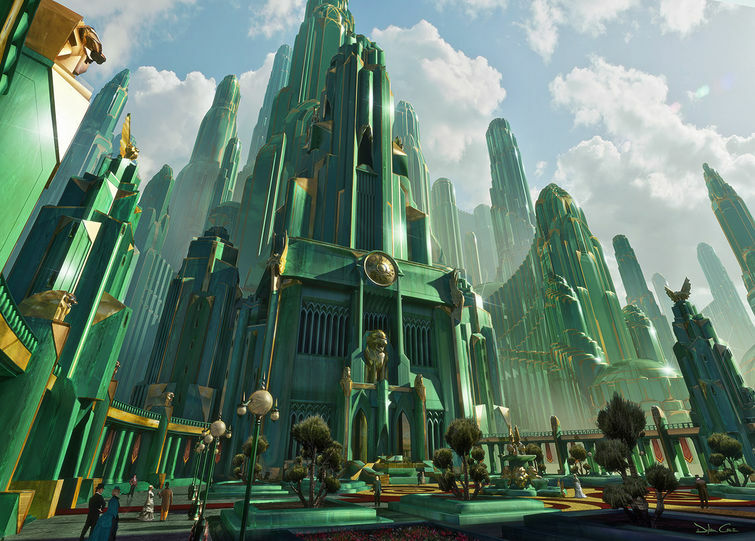 Will stunning production design get you to see OZ: The Great and Powerful or something else? Or nothing at all? 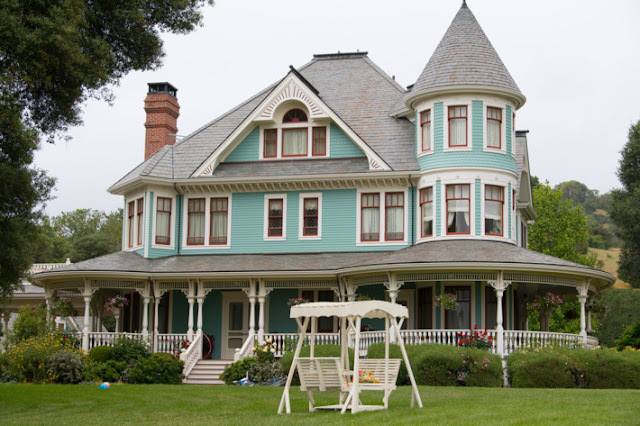 These photos obviously come from a childhood longing. Thanks for introducing them. Yes - how lucky for Stromberg that he gets to play that out in his work. These photos tell me this is more like an animation than a drama (like Pi, which has CGI, but not loaded with it to make it grandiose). But, thanks for posting. I love to see all the heads-up. 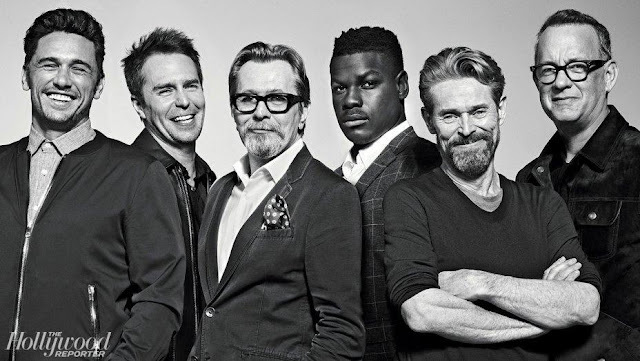 And Much Ado About Nothing in B/W and a modern (or is it postmodern) take? Ummm... I'm not too sure about that one either.